NCT Forestry (NCT) is a marketing co-operative catering to the needs of private and independent timber growers. It is recognised as an international supplier of quality round wood timber, hardwood pulp wood chips and is the largest forestry marketing organisation in southern Africa. NCT's core area of management and operation covers the province of KwaZulu-Natal. 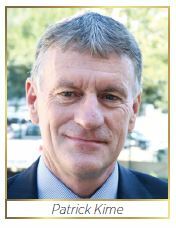 Demand for NCT's service, however, has resulted in its sphere of influence extending to the Eastern Cape, Mpumalanga, Limpopo and Swaziland. As a co-operative (contrary to corporate type principles), its members share in profits and own NCT. Membership of 1 800 shareholding members (made up of large commercial operations and small-scale timber growers), represent a total area of over 300 000 ha (21%) of afforested land in South Africa. Members benefit from the wide range of services NCT offer and also qualify for bonuses based on their patronage and committed supply, depending on available financial reserves. NCT is managed by a team of professionals who offer its members a unique blend of expertise in the various aspects of timber growing, transport and marketing. Its board of directors (all private timber growers), is selected by members and include black directors who represent black grower constituencies in Richards Bay and the KwaZulu-Natal midlands. They play a pivotal role in ensuring that the Co-operative's black member base is represented in all decision-making processes. Hardwood timber destined for pulpwood is NCT's predominant product, sold into various wood chipping plants. In some instances, NCT also markets timber to local corporate pulp and paper markets. NCT supplies timber into its four wood chipping facilities that export their product to south-east Asia and India. Three mills are located in Richards Bay and one in Durban. 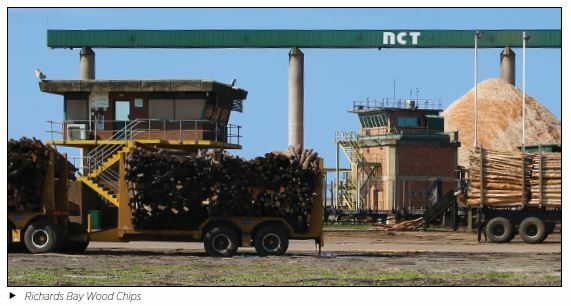 The mills are wholly-owned by NCT and place a significant portion of South African timber resources in an excellent position to access overseas markets. This, in turn, contributes to better pricing and financial returns for the private South African timber grower. NCT has limited access to international biofuel markets. NCT offers its members the opportunity to trade their non-pulp round log timber into a host of financially secure non-pulp market options - saw timber, treated poles, mining timber, charcoal markets. Its network of registered non-pulp round log buyers/markets covers the three main timber growing areas in South Africa: Mpumalanga, KwaZulu-Natal and the Eastern Cape. This market constitutes 6% (or 115 000 tonnes) of NCT's total sales volumes into 50 different national markets. NCT's approach to corporate social responsibility focuses on the impact it has on rural communities, conserving our natural heritage and reducing our environmental footprint. Members are encouraged to set aside conservation areas - 27% of NCT-owned land is managed as an open area. Forest certification schemes are offered to members to ensure that good forestry practices are implemented. NCT plays an active role in protecting the endangered Oribi antelope by encouraging members to preserve natural grassland habitats. NCT works towards improving the capacity of communities and private farmers to manage their land sustainably. Literacy and education with attention to early childhood development. Welfare of orphans and HIV infected children. Special needs equipment for the physically and mentally-challenged. Food security with the establishment of vegetable gardens. Basic infrastructure at schools and home run crèches. NCT funds a student learnership programme which allows unemployed women an opportunity to obtain a tertiary education. In addition, NCT also sponsors students to study towards a national diploma in forestry and invests in students at various universities to conduct research in forestry projects. NCT's intensive marketing efforts add value to members' resources. NCT continues to sustain a highly respectable brand name internationally and this secures competitive prices for the timber products produced by its members. This collective strength places the independent grower in a solid position particularly in a world where, tangential to the co-operative principles, corporate entities strive to drive resource prices down rather than up. NCT's mission is to assist its members to achieve their full forestry potential and optimise the best financial results on a sustainable basis. With this in mind, marketing and price setting will continue to be NCT's most critical and important role into the future. To assist its members to achieve their full forestry potential and optimise financial results on a sustainable basis. To win and maintain the unreserved confidence and support of all its members, customers and employees.